PUMA CATch up>>SPORTS>>Weekend Yield? Three Major Football Trophies! One? – Oh, come on! If the number of major victories determines a great football brand, PUMA climbed to the very top of the list last weekend. While Arsenal F.C. grabbed the English Premier League’s FA Cup, beating Chelsea F.C. 2:1, in London’s Wembley stadium on Saturday night, BVB Borussia Dortmund snatched the German equivalent DFB Pokal in Berlin at the same time, scoring 2:1 against Eintracht Frankfurt. 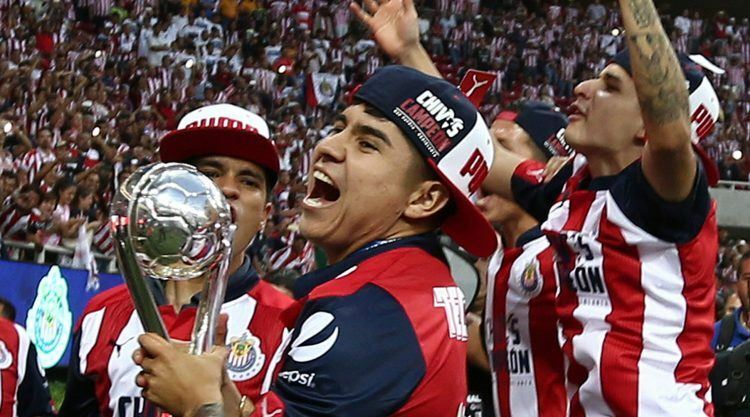 And last but not least, PUMA’s Mexican Chivas won the 2017 Liga MX Clausura title, taking a 4-3 aggregate victory over Tigres. First stop on our tour of Champions is London, where Alexis Sanchez and Aaron Ramsey secured Arsenals 13th FA Cup victory, simultaneously making them sole record holders in this competition. 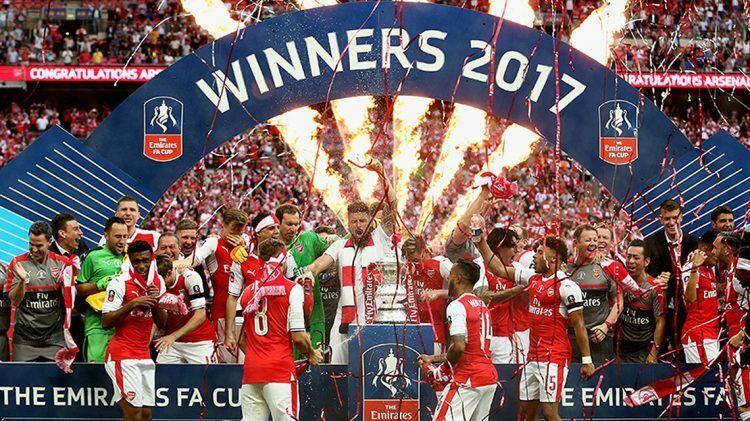 Arsene Wenger’s side have now also won the Cup three times in the last four seasons! Moving on, we head to our next checkpoint: Berlin! After three consecutive defeats in the DFB Cup final in the last years, Borussia Dortmund have won their first major trophy since 2012 and grabbed the Cup for the fourth time. Ousmane Dembele drew first blood for BVB, dizzying his opponents with a beautiful dribbling and finishing with a magnificent strike into the top corner of the net. An exciting match found its decision, when Pierre-Emerick Aubameyang converted a penalty to win goldware for the Ruhr side. Our final destination is Mexico, where Chivas managed to win the 2017 Liga MX Clausura title for the first time in more than a decade and are now tied with their rivals America (12 Mexican titles). Alan Pulido and Jose Vasquez paved the road to victory for the All-Mexican side in a close final game of Liga MX. "What a weekend it has been for us at PUMA. Three major football trophies this weekend! It shows that our Sports Marketing Team is doing a great job and that PUMA has MOMENTUM!" “It was fantastic to see three of our main partners end a long and hard season with major trophies! I am extremely happy for the players, coaches and staff of all three clubs. A big congratulations from us to them!”, said our Global Director of Sports Marketing & Sports Licensing.